We love pets. Animals, including dogs, can truly become a part of the family. According to WebMD, dogs can even be good for your health helping limit allergies in young children, improving heart health, and even helping their owners make social (or love!) connections. Sadly, however, dogs can also cause significant harm. Dog bites are dangerous, even life threatening. When pets hurt people in the Northern California region, our San Francisco dog bite lawyer can help. A young boy recently became the victim of a dog bite for the second time. As detailed in the San Francisco Chronicle, the five year-old boy was left alone in a room in a Pleasanton apartment where he was bitten in the face by a 96 pound Presa Carnario named Boston. Jeff Bretzing, a Pleasanton lieutenant reported that officers and paramedics found the child with facial injuries. Bretzing noted that the child was taken to a local hospital for treatment of facial wounds. The dog’s owner, Marc Kornberg, was elsewhere in the apartment at the time of the bite. Authorities seized the animal. In the course of the investigation, it became known that Boston had previously bitten the same child in the face. The prior attack occurred on March 6, it also occurred when the child was left alone in a room with the dog. The child also required hospital treatment after the prior incident and the dog was placed on temporary home quarantine. After the most recent bite, a public hearing led to the dog being found to be vicious and transferred to an Ohio rehabilitation and training facility. On Friday, prosecutors issued arrest warrants for both Kornberg and the boy’s mother, 27 year-old Myrvete Lila, who was also home at the time of the second bite. Both are charged with felony child endangerment and have been booked at Dublin’s Santa Rita Jail. There’s a commonly held belief that, when it comes to dogs, “the first bite is free.” However, in California civil injury cases, this simply isn’t true. 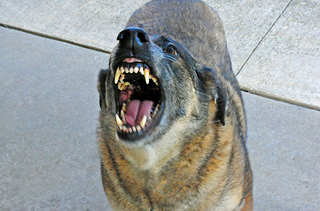 California Code 3342(a) provides that a dog’s owner is liable for injuries caused when the dog bites a person, assuming the person is in a public place or lawfully in a private one (even the owner’s home) regardless of whether the dog previously displayed viciousness. This law is important because it means that dog bite victims bringing civil injury cases do not need to prove the defendant-owner previously knew the dog had vicious tendencies, an element that can be hard, if not impossible, to show. In addition to protecting the injured, it is important to prevent future injuries. Again, we love dogs, but we also cannot abide multiple attacks such as that reported in the Pleasanton story. Both state laws and local regulations play a role in determining what happens to a dog after a violent incident. Division 14, Chapter 9 of California’s Food and Agriculture Code contains provisions on both potentially dangerous dogs and those proven to be vicious. In some cases, the law simply requires that dogs be kept secure. In more serious circumstances, the law may call for dogs to be put to sleep. Local authorities also regulate dogs in order to prevent serious dog bites. One such body is San Francisco’s Vicious and Dangerous Animal Unit. The Unit holds hearings to protect public health by imposing remedies such as muzzling, requiring mandatory training courses, containing the animal, and educating the owner on controlling the animal. We love dogs, but we also value the safety of our communities. If you or someone you love has been injured by a dangerous dog in Northern California, please call our office. Attorney Brod is an experienced Northern California dog bite lawyer and offers a free consultation to all potential clients.